T-G-I-frikkin'-F, girlfriends. All week I've been dreaming of a weekend trip to Piedmont Park with a blanket, a bottle of vino, and my best friends in tow. Emphasis on vino. Hey, that's what summer's for, right? It's also for a great pair of sunnies. 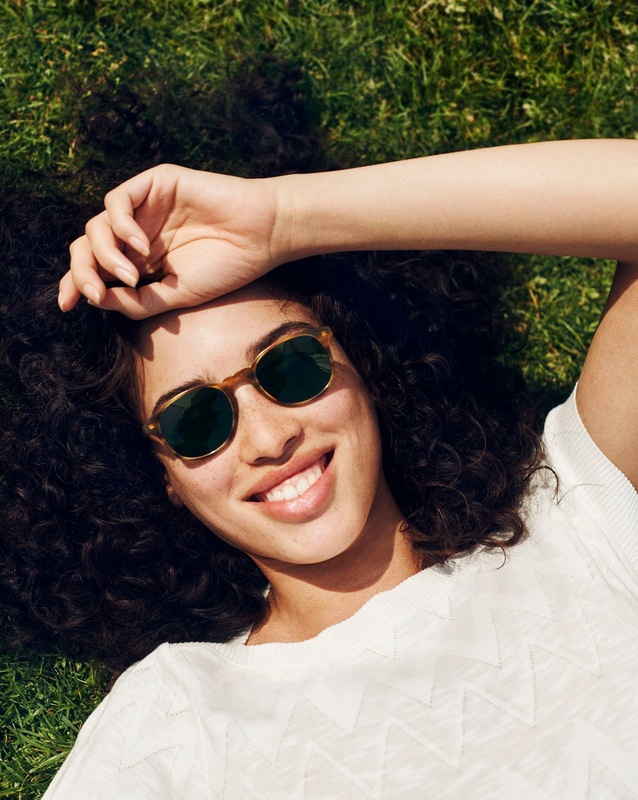 Warby Parker, the quintessential classic-cool frame makers, has refreshed its Downing collection for summer. Two new colors, Striped Indigo and English Oak, make the frames even more of a summer must have, although I am still partial to the Walnut Tortoise pair. This post is a part of a collaboration with Warby Parker. As always, opinions are my own and not influenced by the brand. I have so many pairs of their regular glasses. I'll have to get a pair of their sunglasses soon! loving those shades! A picnic in the park with wine sounds perfect for the weekend. I love Warby Parker and your styling is perfect! Have a great weekend!